The most complete Argentina Gaucho Vacation! Enjoy Argentina’s top quality meats! Live at an Estancia or Ranch. The Gaucho Adventure includes horseback riding, the Gauchos and a tour of Buenos Aires, Argentina. Experience the Argentina Gaucho lifestyle. Ever wondered how the gauchos live? Have you ever dreamt of being a cowboy? Do you love the outdoors? Horseback riding? Enjoy the Argentina’s top quality meats surrounded by the most incredible scenario. Stay at a real Estancia in Argentina! The Gaucho Adventure, takes you on an interactive tour of the Pampas (Central region of Argentina) and the Gauchos (the Argentinean cowboys) and a tour of Buenos Aires, Argentina. The most complete Argentina Gaucho Vacation! Come join us and visit Argentina. The Pampas plains are amongst the richest areas in Argentina. They have the magic of wide-open spaces with an unlimited horizon, and they are the land of the gauchos, traditional Argentine country men. These ranches or “estancias” are constructions that date back to the 17th and 18th centuries, and many of them are a Jesuit legacy. The historical city of Chascomus was founded on 1779 by Pedro Nicolás Escribano. Argentinean “asado” (barbecue). This is the most common meal in Argentina. Some roasting methods are the “asado con cuero”, spit roast (meat roasted on a cross), roasting on a grill- which is typical in the country -, or a barbecue-like manner, which is more common in the city. No matter the method used, the secret of a asado is the meat and a well-kept fire. Some of the Argentine most common cuts are the asado de tira or whole ribs, vacío, cuadril, and matambre, and the “achuras” – tripes, sweet-breads, criadilla, udder, blood sausages and chorizos (Argentine sausages) – that are normally served as a starter. The meat is eaten alone or dressed with typical sauces, such as “chimichurri”. Other typical meals are locro, tamales, empanadas (meat pies), and carbonada. Let the gauchos guide you on a constellation trip of the starry Argentinean skies. Enjoy wonderful country breakfasts (juices, coffees, homemade cheeses and yoghurts, breads, butter and marmalades), feast on typical asados or barbeques of the mouth-watering and internationally renowned Argentinean meats, and a “picada” before lunch (array of cheeses, salamis, and other cold meats, olives, pates, cheese breads and beverages), partake of the traditional “merienda” or tea-time with typical beverages and pastries. Participate on typical gaucho activities. Shows with folkloric dances, boleadoras, entertaining open fires, and guitar dueling. 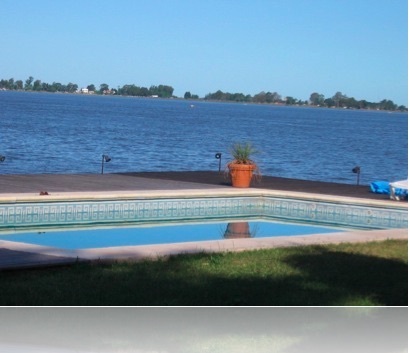 Famous Chascomus Lagoon tour by boat where you will see the flora and fauna of the place. Tour of Buenos Aires, the Paris of Latin America. Visit the famous Mayo avenue and Corrientes avenue, Boca and Caminito, Puerto Madero, Florida street, the Obelisco and the widest avenue in the world, the 9 of July avenue, and San Telmo (colonial Spanish neighborhood). At lunchtime you may enjoy a Tango Show. 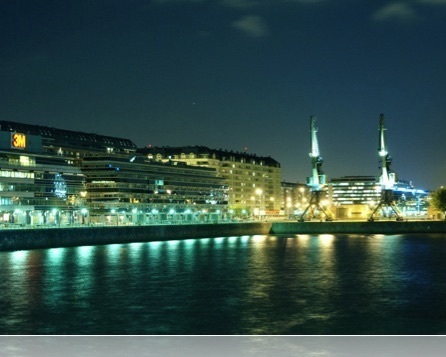 DAY 1: Arrive to the Buenos Aires airport to start your Gaucho Adventure. You will be taken to the Estancia (Ranch), where you will enjoy a welcome lunch. In the afternoon you can rest or you can choose to book a relaxing massage session before dinner. In the evening, the gauchos will guide you on a constellation trip of the starry Pampas’s skies. DAY 2: You will wake up to a country breakfast and later you will enjoy participating on the typical gaucho activities. After a leisurely lunch you may choose to go horseback riding or journey on the typical carriages or “sulkys” and later take pleasure on an array of sweets and pastries. In the evening, be ready to feast on a typical asado or barbeque of the internationally renowned Argentina meats. DAY 3: After a delicious breakfast with juices, coffees, homemade cheeses and yoghurts, breads (you will have a chance to make your own if you wake up early enough), butter and marmalades, you can choose to play “sapo” or other traditional gaucho games. At lunch you will enjoy a mouth-watering “parrillada”. In the evening, and during dinner, you will attend a show with typical dances, boleadoras and an entertaining open fire. You will learn all the secrets of the Argentina barbeque and will be able to cut your own piece of meat with a typical “facón” or gaucho knife. DAY 4: After breakfast you will move to a wonderful hotel in the city of Chascomús, where a reception will be held in your honor. Lunch will take place at a nautical restaurant, famous for its fresh fish dishes and pastas, with a view of the famous Chascomús Lagoon. A tour of the lagoon by boat follows allowing you to see the flora and fauna of the place. You may choose to enjoy the worldwide famous croissants of Atalaya restaurant for tea or continue walking and sightseeing the area. DAY 5: Breakfast at the hotel before departing on a Buenos Aires sightseeing tour, the Paris of Latin America. You will visit the famous Mayo Avenue, Corrientes avenue, Boca and Caminito, Puerto Madero, Florida street, the Obelisco and the widest avenue in the world, the 9 of July avenue, and San Telmo (colonial Spanish neighborhood). At lunchtime you can enjoy a Tango Show. DAY 7: After a leisurely breakfast at the hotel, you will be able to shop till you drop at the local stores packed with hand-made leather and silver products. Farewell lunch at the Restaurant Nautico and transportation to the airport. Breakfast, “picada” (array of cheeses, salamis, and other cold meats, olives, pates, cheese breads and beverages), Lunch – includes wine, sodas and desserts- Tea and Dinner – includes alcoholic beverages.